Marrying and need a Phi Phi Honeymoon resort then you might have just come across the right article. Phi Phi Island is one of the World's most romantic islands with palm fringed beaches, coral filled seas excellent resort rooms and some stunning natural scenery. The best Phi Phi Honeymoon resort is the type that is beachfront, away from the hub-hub of Phi Phi Village, a place that can give you some peace and quiet time with the one you love. Thai people have the worlds best service cultures and added to their hopeless love of romance, this is the country to visit when choosing that honeymoon location. Phi Phi has 3 main luxury Honeymoon resorts as they have the glamour of a fine property with all the trappings that can spoil a couple, places to make them feel they are special. These resorts are on the east coast at Loh Bagao and Laem Tong beaches. 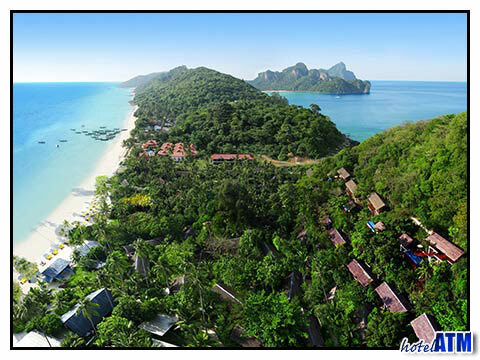 The Zeavola Phi Phi Resort is a the only 5 star Honeymoon resort on the island. They organize exquisite wedding functions and know how to dress the suites up for all those on honeymoon. Thai resorts are famous for filling the bedroom with flowers as a welcome gesture. The Zeavola Phi Phi Resort suites and pool villas are the islands the most exclusive accommodation and the landscaping style creates the most private of settings for each couple. The Zeavola Spa is the finest in the island. The 4 star Holiday Inn Phi Phi Island enjoy a good variety of room types at this internationally branded hotel. Since the recent refurbishment and improvement in room types (2011), the Holiday Inn Phi Phi Island shown that this is an excellent choice for honeymoon. The 4 star Phi Phi Island Village Resort And Spa and the Phi Phi Island Village Villa give the honeymooner something different. The resort dominates the Loh Bagoa Bay, is spacious and set amongst a coconut plantation and is the islands most complete resort with pools, restaurants, Wanna spa. This restaurant will appeal to those who like a bit of adventure as there are some sensational walks including the 12 minutes walk over to the remote Lanah Bay. 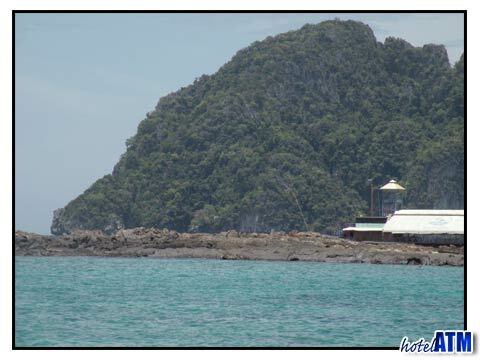 The other Honeymoon resort on Koh Phi Phi centre on Long Beach and the main Phi Phi Village. Phi Phi The Beach Resort is on the eastern end of Long Beach and has the most sensational views of Phi Phi Ley to the south and the length of Long Beach to the cliffs of Tonsai. The service according to the reviews is quite variable but if you are the type of people who make it happen, this resort shouldnt be ruled out. It's also more central than the 4 and 5 star resort so you can get into the center of Phi Phi Village to enjoy some brilliant nightlife. You can do yourself a big favour by taking a look at the Phi Phi Honeymoon resort deals on the Phi Phi Resort Deal page. If you look at May and July prices the low season weather deals make a lot of sense. Some years the resorts put on specials for honeymoon couples.